Here’s another Nine for IX title that takes an unexpected avenue. Not only was I unaware for Pat Summitt’s early career, both in being Head coach at such a young age and also her close-calls, but it tells the story mostly through her and her son, Tyler Summitt (recent University of Tennessee graduate), reminiscing and other colleagues, former players, etc. The film reflexively talks about how it likely helped her remember things she wouldn’t have otherwise (Summitt recently retired due to early onset dementia). Therefore, aside from being a great piece on her life and career it also becomes a living document for her and her family and all those she coached and helped along the way. The film could end up being far too loose with such a format but it crafts itself into a very neat and highly effective narrative. This post is part of the Summer Reading Classic Film Book Challenge. 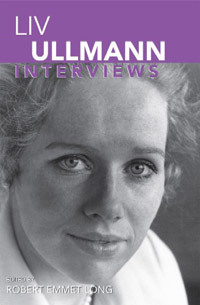 This particular title pertains to the blogathon by being a collection of interviews that serve as a biographical account of sorts as they are collected over a number of years, there are some personal questions, and Ullmann is speaks at various times of her life with evolving perspectives. 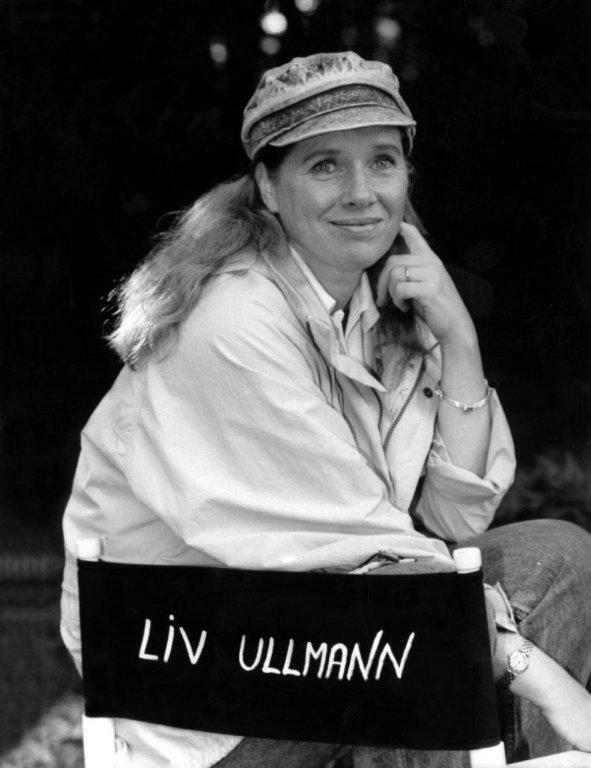 I’ve written about Liv Ullmann here before. Naturally, having written about the films of Ingmar Bergman in the form of a list, and most recently a specific scene she was in that Bergman directed. 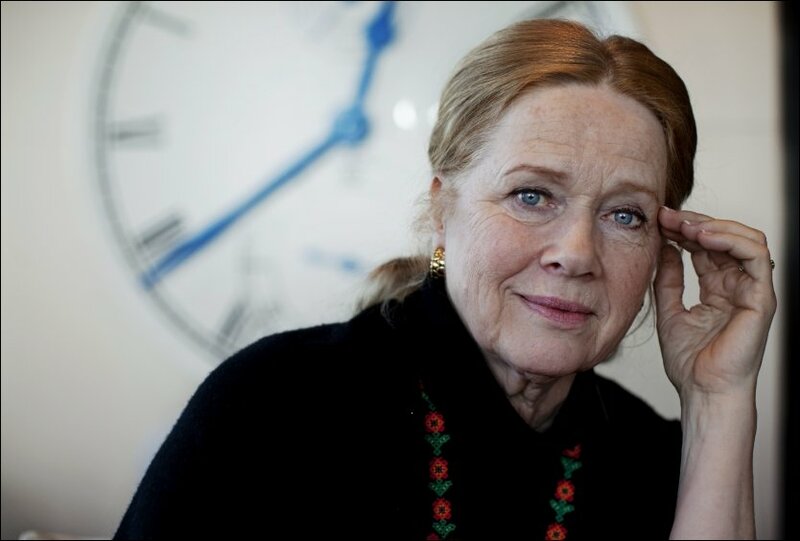 I also posted a piece called Liv Ullmann: Between Stage and Screen here. This was something I wrote as a reaction to a speaking engagement she had in 2009 at the Brooklyn Academy of Music. It was held in conjunction with her directing a show there and touched on her career as an actress in both media. Following the engagement I got this book, as I have a tendency to do; it ended up in a pile of books for a while. A similar practice applies to movies as well. I’m trying to use Goodreads and Letterboxd to deal with both issues. I’ve not made a habit of reading interviews exhaustively. However, it’s fascinating in this case because they are legitimate interviews that take a number of projects and topics into considerations and not as much of the junket/talk show nature is in there. Having them span years you can see certain progression, changes in perspective and priorities, and different career phases. The time when her career began, and the type of films she was usually involved in, I’m sure contributed to the meatiness of these interviews. Plus, she doesn’t give the short shrift to any answers. If we’re being literal Ullmann’s “Bergman Years” began in 1966 with the release of Persona. However, these interviews begin in 1972. It was a different time and cinematic era, therefore, she only came over to the US and started doing interviews around the release of The Emigrants (Dir. Jan Troell), which garnered her a Golden Globe Award and her first Academy Award nomination. Therefore, many of these interviews concern films like Persona, Cries and Whispers, Scenes from a Marriage, Troell’s epics The Emigrants and The New Land; Face to Face, Autumn Sonata; and her brief, mostly unsuccessful, in box office terms, but fun forays into Hollywood and the Broadway stage. One can trace the growth of Ullmann as a person and her mastery over he instrument through these years. Always emotionally attuned she gives tremendous insights into her philosophy on life, art, the place of her craft, and the world in general. 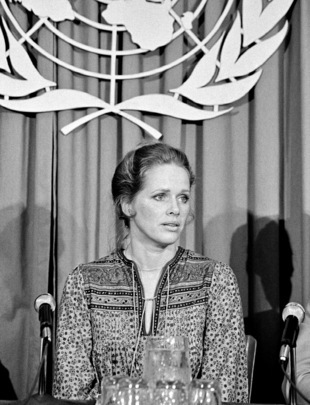 When asked to visit refugee camps, and eventually asked to be a UNICEF ambassador; Liv Ullmann admits to a personal epiphany. In a prescient way she talks of the power of the media, and the positive change celebrities can affect by using the media. This is even more true today. She fascinatingly comes to terms with her acting as a profession, something she does for income, but sees this ambassadorship as her new, truer calling. Whether in Hollywood or abroad, the difficulty female actors face landing roles for the same time window of time as their male counterparts is a reality many have to deal with in an inarguably sexist industry. However, Ullmann seems to have found a new direction that personally satisfied her and coincided fortuitously with her entering an age range where actresses struggle to even see scripts much less good ones. Her transition to directing is well-documented, and openly explored. Her first two films were quite personal yet also included departures. Ullmann is typically seen as a modern woman, emotionally open, intelligent and confidently independent found period pieces to tell her first tales. The first film Sofie is a story of a 19th century Jewish family (Ullmann herself is Christian but has always had Jewish friends and affection for the culture) who pressure their daughter to marry the man of their choosing. Her second feature is a cinematic adaptation of a classic Norwegian saga Kristin Lavransdatter. Also, clearly a temporal departure. Even with only a handful of screen directing credits Ullmann herself has already seen phases. First, were her personally befitting period-pieces, and then after Bergman’s initial retirement from film (one he really only broke for Saraband, which Ullmann participated in) she tackled two Bergman adaptations Private Confessions, as a lengthy TV project and edited feature project based on a novel Bergman wrote, and Faithless, an original Bergman screenplay she piloted solo on his insistence. 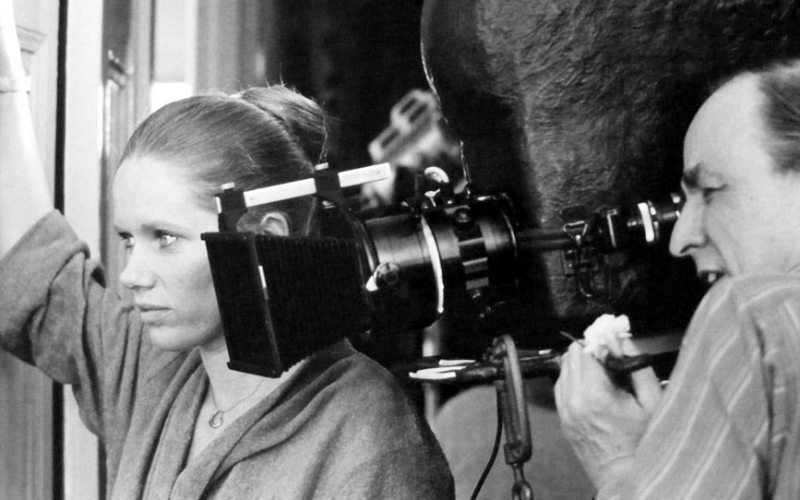 Whether it’s been as a legendary screen luminary and muse, activist and force for change, or emerging director; Liv Ullmann has never seemed to back down from a challenge starting from the moment she started Persona not 100% sure what she was getting into and how she was going to pull it off. These interviews cut-off about a decade ago and it shows. In researching this piece I learned that Ullmann has made her debut directing in the English language with her own adaptation of Strindberg’s Miss Julie starring Colin Farrell and Jessica Chastain. This doesn’t quite surprise me that much as I read some of her thoughts on Strindberg, and her saying she does not see language as an obstacle to directing. Also, considering that Bergman was her closest collaborator who himself had a fascinating theatrical mash-up of Ibsen, Stringberg, and himself it’s not as surprising. All the works I touched upon hardly scratch the surface as there is much to find in this book for fans. She talks of her evolving relationship with Ingmar personally and professionally, marriage in general, her relationship with her daughter, aging, fame, social issues, gender inequality, her theatrical works, coming to Hollywood as a newbie, interesting insights in to the film industry and specific films in general; and more. Sure, as with any interview collection that at times features a few talks from the same year there will be some redundancies, certain titles will come up more than other ones, certain information will be redundant or slightly contradictory; but with minimal editorializing, and many Q & A transcriptions it really is speaking for herself and allowing us a window into her heart, mind, soul, and art. Fans and film enthusiasts should be willing to take a glimpse.